This month's video from HAR discusses Multi-Family Property Types. You will learn the positive aspects, as well as the negative, of owning a Multi-Family Property. If you are interested in owning a Multi-Family Property and/or have any questions about owning a Multi-Family Property please do not hesitate to contact me. The June 2012 Local and National Housing Trends has just been released. This month's newsletter is packed full of local and national housing market statistics and news you need to know to stay current with today's changing housing market. This month's video from HAR discusses legal subdivisions. Subdividing means taking a larger lot of land and dividing it into smaller pieces of land to sell or develop. You will learn about some of the laws that regulate subdivisions to protect consumers. If you have any further questions about subdivisions after watching this video, please feel free to contact me. I'd love to hear from you! The May 2012 Local and National Housing Trends has just been released. This month's newsletter is packed full of local and national housing market statistics and news you need to know to stay current with today's changing housing market. Do You Understand Your Hurricane Deductible? Dreaming of a Summer Escape to an Italian Villa? In this video we will discuss why a consumer should always use a realtor when buying, selling or leasing a property. Realtors subscribe to a strict code of ethics and are expected to maintain a higher level of knowledge of the buying process and selling real estate. Real estate transactions involve one of the biggest financial investments most people experience in their lifetime. Your realtor can help you determine how much you can afford to spend, and possibly more importantly, how much you should spend. Your realtor can take that information and refer you to lenders who are best qualified to help you. Your realtor has many resources to assist you in your home search. Sometimes the property you are seeking is available, but not actively advertised in the market, and it will take some legwork by your realtor to find all available properties. Your realtor can assist you in the selection process by providing objective information about each property. Agents who are realtors have access to a variety of informational resources. Realtors can provide local community information on utilities, zoning, schools, etc. Your realtor also provides insight during the evaluation of the property. Depending on the area and property, this could include inspection for termites, asbestos, or roof condition just to name a few. Your realtor can help you find a qualified responsible professional to do most of these investigations, and provide you written reports. Your realtor can help you negotiate. When selling your home your realtor can give you up to date information about what is happening in the marketplace. This is a key to getting your property sold at the best price quickly and with minimum hassle. Your realtor acts as a marketing coordinator, distributing information about your property to other real estate agents through a multiple listing service or other cooperative marketing networks, open houses for agents, etc. In many markets across the country, more than 50% of real estate sales are cooperative sells, meaning a real estate agent other than yours brings in the buyer. Your realtor can guide you through the closing process and make sure everything flows together smoothly. The required paperwork alone is overwhelming for most sellers. Your realtor is the best person to objectively help you solve these issues and move the transaction to closing. So now you’ve learned why you should use a realtor when buying or selling real estate. And remember, that a realtor is always the best source of information for all your real estate needs. This month’s featured video discusses the difference between a townhome and a condominium. They can look exactly alike! What differentiates a condo from a townhome is what property rights come to consumers who purchase them. A buyer of a condominium owns his or her individual unit structure, plus a percentage of the surrounding property, including land and any amenities on the property. Condo owners are responsible for the space inside their own walls, which means they can paint them however they wish. They don't enjoy that same privilege on the outside of their homes. However, residents are members of a home owners association and pay a monthly fee to the association in exchange for the maintenance of the common property. A buyer of a townhome purchases his or her individual unit and well as the ground underneath that unit. Townhome property lines are generally more consistent with single family homes and common areas are usually still individually owned. Townhome communities may also have owner associations which maintain certain external structures, security gates, trash service and other common items. They may also have restrictions about exterior alterations to the property, parking and maintenance. Working with a knowledgeable realtor can help you decide if a condo or townhome is right for you. Now you've learned something about the difference between a townhouse unit and a condominium unit! The April 2012 Local and National Housing Trends has just been released. This month's newsletter is packed full of local and national housing market statistics and news you need to know to stay current with today's changing housing market. This month's featured video discusses why consumers should always use a realtor when buying real estate. Realtors subscribe to a strict code of ethics and are expected to maintain a higher level of knowledge about the real estate market. Real estate transactions involve one of the largest financial investments most people experience in their lifetimes. Your realtor can help you determine how much you can comfortably afford. They may also be able to refer you to lenders who will be able to help you. Your realtor has many resources at their disposal to assist you in your home search. Your realtor can also provide objective information about each property in which you are interested. They will also provide you valuable insight during the evaluation of the property. Your realtor can help you negotiate the price paid, contract terms and closing costs. Your realtor can guide you through the closing process, and make sure everything flows together smoothly. The required paperwork alone is overwhelming for most buyers. Your realtor is the best person to objectively help you resolve any issues, and move the transaction to closing. So now you’ve learned why you should use a realtor when buying real estate. Remember a Realtor is always the source of information for all your real estate needs. The February 2012 Local and National Housing Trends has just been released. This month's newsletter is packed full of local and national housing market statistics and news you need to know to stay current with today's changing housing market. This month's featured video discusses homeowners associations. These entities can be found in almost every housing environment. Consumers must research to determine if a homeowners association (HOA) has authority over any home they might be considering for purchase. When a person buys a home in an area with a HOA, he or she becomes a member of the association and is responsible for membership dues. By design a HOA has the goal of ensuring that living in the area or on the property is pleasant for all residents. The first act of the HOA is to establish a set of rules or guidelines to hopefully accomplish that. The HOA Board of Directors then establishes monthly dues for all homeowners and can restrict the rights of the way a person can use his or her own property or the joined or common property. For example the rules may govern the number of people who can occupy a house, the colors one can paint a house, or the time at which common areas like exercise rooms or pools can be used. Fines or fees can be assessed or even evictions for those that don’t abide by the rules. Many find the HOA well worth extra fees associated with owning property. When well administered, the HOA can provide certain predictability to owning a home and clearly delineate both the homeowner’s and association’s responsibility. The January 2012 Local and National Housing Trends has just been released. This month's newsletter is packed full of local and national housing market statistics and news you need to know to stay current with today's changing housing market. This month's featured video discusses why consumers should always use a realtor when buying, selling, or leasing a property. Realtors subscribe to a strict code of ethics and are expected to maintain a higher level of knowledge of the buying process and selling real estate. 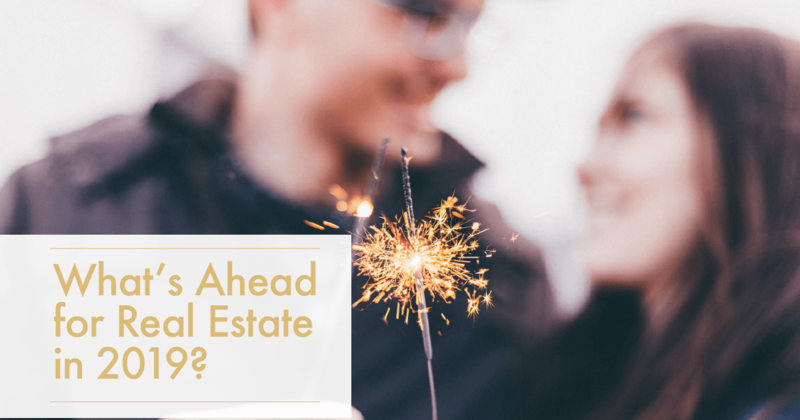 Real estate transactions involve one the biggest financial investments that most people will experience during their lifetime. Your Realtor can help you determine how much you can afford to spend and possibility more importantly how much you should spend. Your realtor has many resources to assist you in your home search. Sometimes a property you are seeking is available but not actively advertised in the market and it will take some leg work by your realtor to find all available properties. Your Realtor can assist you in the selection process by providing objective information about each property. Realtors can provide local community information and insight during evaluation of the property. Depending on the area this can include inspection for termites, asbestos or roof condition just to name a few. The December 2011 Local and National Housing Trends has just been released. This month's newsletter is packed full of local and national housing market statistics and news you need to know to stay current with today's changing housing market. This month's featured video discusses Homeowner's Insurance, also commonly called Hazard Insurance. This is the type of insurance that covers private homes. It is an insurance policy that combines coverage for various personal insurance protections which can include losses occurring to the home, its contents, loss of its use, loss of personal possessions, as well as liability for accidents that may happen at the home. Most mortgages require the owner to carry homeowners insurance at all times that the mortgage remains in effect. The insurance policy is a lengthy contract and lists what will and will not be paid in the case of various events. Typically losses due to floods or war are excluded, though special insurance can be purchased for these possibilities. The insurance policy is usually a term contract that is effective for a fixed period of time and is provided in exchange for "premium". The insured (homeowner) must pay the insurer each term. Anyone with an insurable interest in the property should be listed on the insurance policy. It is important to review the policy coverages and requirements provided by your insurer. To learn more information about hazard insurance, please contact your insurance agent. The November 2011 Local and National Housing Trends has just been released. 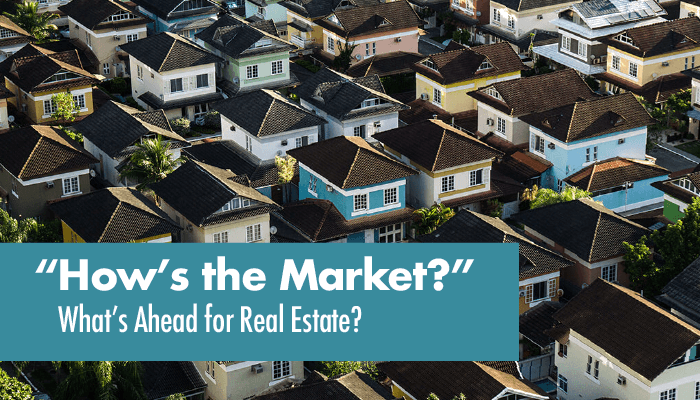 This month's newsletter is packed full of local and national housing market statistics and news you need to know to stay current with today's changing housing market.